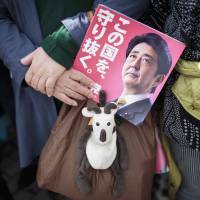 North Korea on Monday blasted “Japanese reactionaries” for working to “pave the groundwork for a reinvasion of the Korean peninsula” after Sunday’s Lower House election that saw Prime Minister Shinzo Abe’s ruling bloc secure a sweeping victory. 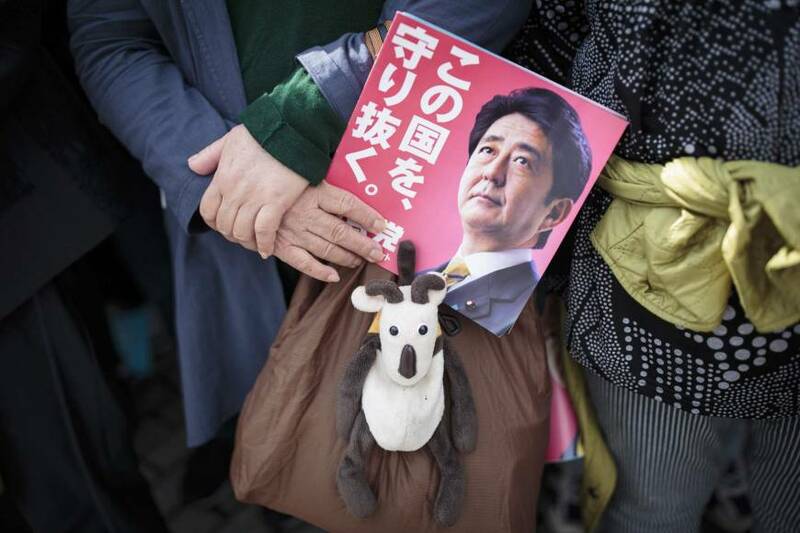 Abe dissolved the Diet on Sept. 28, forcing the election, as he sought a fresh mandate amid improving poll numbers and his handling of the North Korean nuclear crisis. In a statement carried Monday by the North’s state-run Korean Central News Agency, a spokesman from the country’s Korea Asia-Pacific Peace Committee lambasted the move, calling it reminiscent of Imperial Japan’s march across Asia before and during World War II. “What the Japanese reactionaries seek in deliberately linking their step to dissolve the House of Representatives with the DPRK is to gratify their ambition for staying in power and pave the groundwork for reinvasion of the Korean peninsula in order to realize the old dream of the ‘Greater East Asia Co-Prosperity Sphere,’ taking advantage of the nuclear war moves of the U.S.,” the spokesman said, using the North’s formal name and referring to the Co-Prosperity Sphere, a pseudo-political and economic union of Japanese-dominated Asian and Pacific territories during the war. “This is well proven by the fact that Japan examined a plan for giving logistic support to the U.S. troops and putting down ‘armed refugees’ with mobilization of the ‘Self-Defense Forces’ in contingency on the Korean peninsula, while loudly trumpeting about the U.S. military attack on the DPRK,” the spokesman added. Korea was under Japanese colonial rule for 35 years from 1910-1945. Pyongyang regularly blasts the United States and its allies, including Japan, as rehearsing invasion and has justified its pursuit of nuclear weapons as a deterrent to this perceived threat. On Monday, Abe vowed to tackle the North Korean nuclear issue with “strong, resolute diplomacy,” pledging to work closely with U.S. President Donald Trump to rein in Pyongyang’s atomic ambitions. Trump is scheduled to visit Japan and several other Asian nations next month. It was unclear what this referred to, but the North has lobbed two missiles believed capable of carrying a nuclear payload over Hokkaido in recent months while also saying it might target the area around the U.S. territory of Guam with “enveloping fire.” It has also threatened to test a hydrogen bomb over the Pacific Ocean. The North has made a series of breakthroughs in its nuclear and missile programs this year, conducting its sixth and most powerful nuclear test early last month. It has also held a spate of tests to master the technology needed to reliably target the United States with a nuclear-tipped long-range missile, conducting dozens of test-firings and training launches since last year. In July, it twice tested an intercontinental ballistic missile that experts say is capable of striking a large chunk of the U.S.